As part of the Funk Donation Projects our cataloguers have been meticulously working their way through the New College Pamphlets collection, which numbers in the region of 35,000 items. 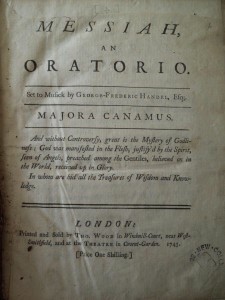 Part of this collection had already been catalogued online via previous grant funded projects but a team effort by New College Library staff has enabled thorough checking of this collection, to identify all of the items which hadn’t met the criteria of the earlier projects and were uncatalogued. Earlier this month our cataloguer quietly announced that she thought the complete cataloguing of this huge collection was, finally, complete – which was fantastic news. 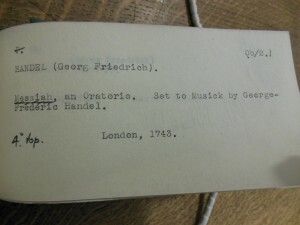 Part of the cataloguing work on this collection entailed checking and matching items on ESTC, the English-Short Title Catalogue that lists British books published between 1743 and 1800. 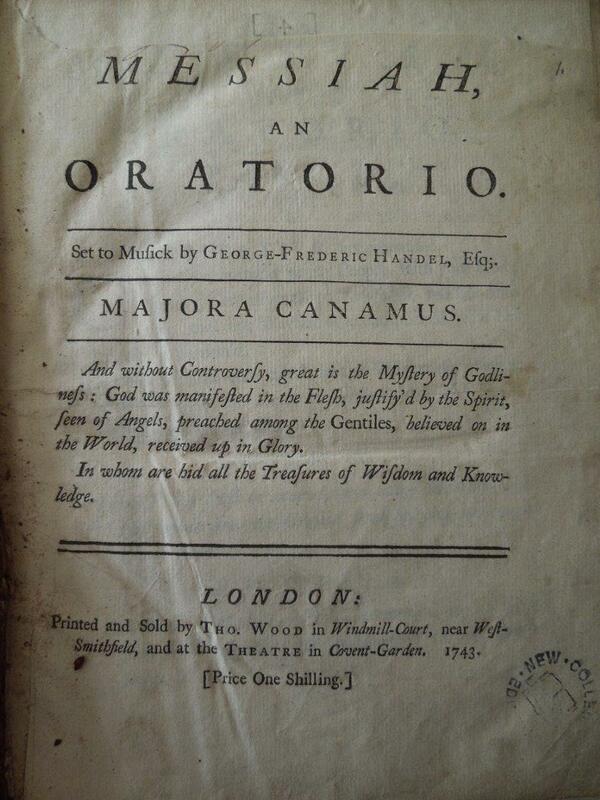 Through this work we’ve discovered hundreds of pamphlets which were unique to ESTC – that’s to say, unique in the world. All of these have been reported to ESTC so that this knowledge can be shared with scholars worldwide, and digital images of their title pages added to the University’s image database. As well as the additional detail there are huge benefits in discoverability and connectivity for research. 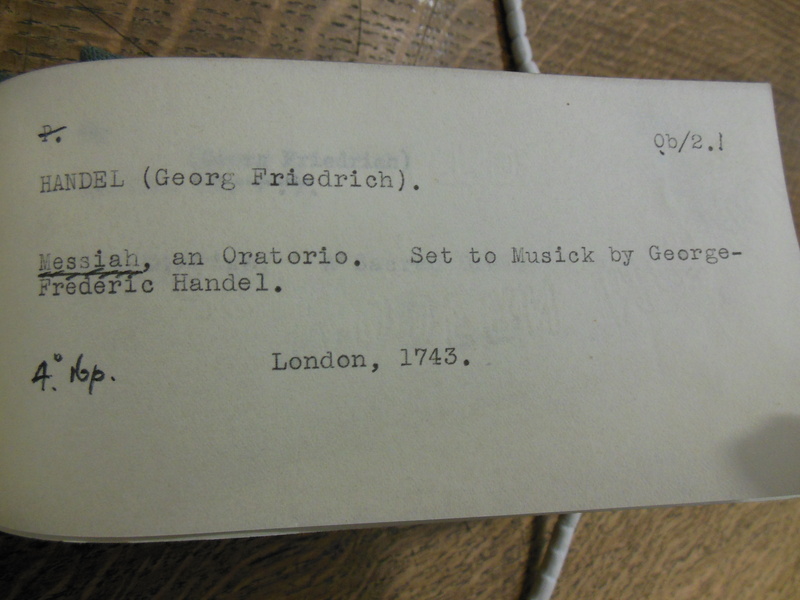 Anyone within the University of Edinburgh researching Handel’s Messiah can now easily discover this item, alongside all the other editions and scholarly works on Handel’s Messiah in the University Library. The University of Edinburgh’s library catalogue is also uploaded into the union catalogue COPAC, which allows single search discovery to over 90 of the UK’s major research libraries. Furthermore, it’s important to remember each book catalogued by the Funk Donation Projects has been retrieved and handled by a rare book cataloguer, enabling them to accurately assess and record the individual book’s binding, provenance and whether there are any missing pages. Handling the books in this way can sometimes turn up quite unexpected material, like the Messiah which was bound into a volume of sermons! It’s through this work that our rare book cataloguers are enabling New College Library’s Special Collections to emerge from the shadows of the stacks and join the academic conversation. 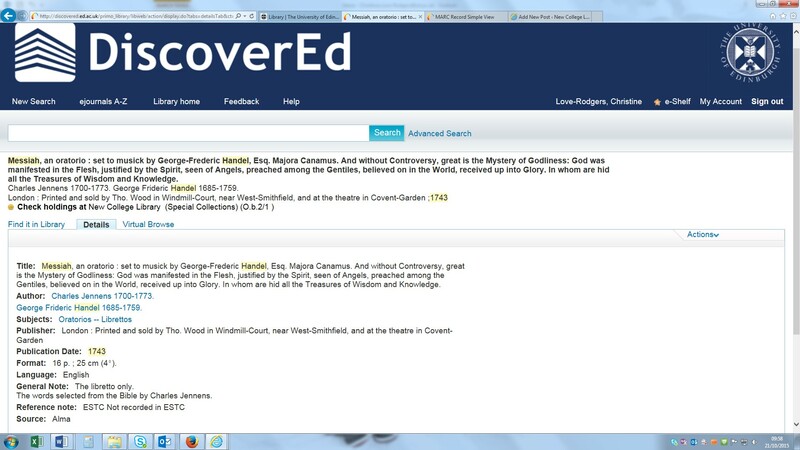 This entry was posted in Library, New College Library and tagged DiscoverEd, Funk, music, new college library, Pamphlets, rare books by cloverodgers. Bookmark the permalink.